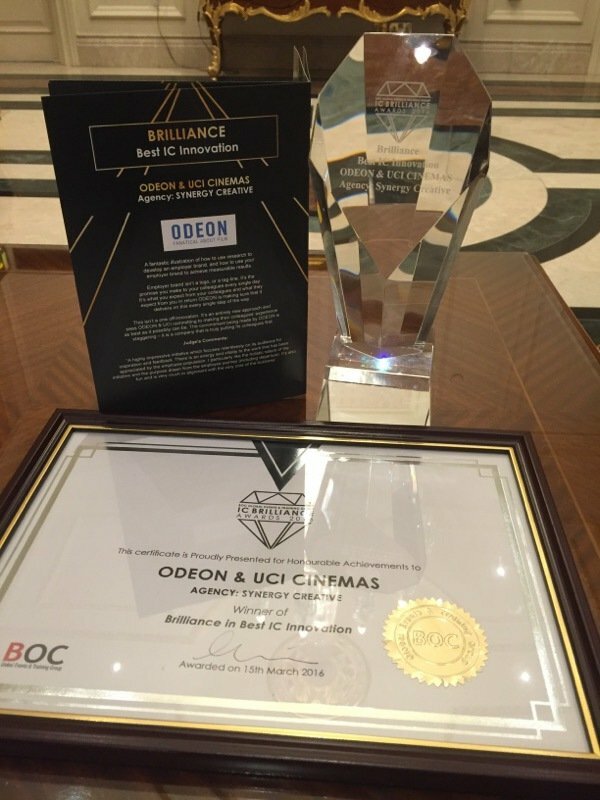 ODEON & UCI Cinemas has been awarded ‘Best Internal Communications Innovation’ at the Internal Communications Brilliance Awards, held on 15 March in London. The award recognises our work in mapping our colleague journey, creating our new employer brand BE ODEON, Vision & Values campaigns, new careers site, reward and recognition schemes and brand heroes programme. Other companies shortlisted for the award were Virgin Media and Schneider Electric.